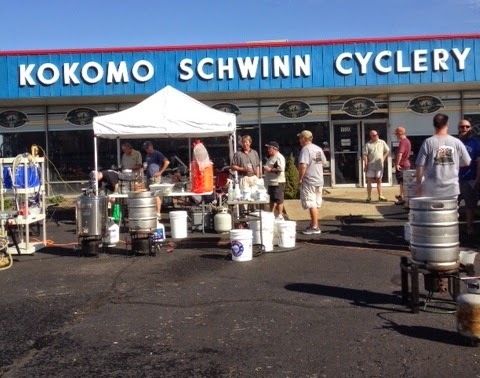 We had a demonstrative homebrew session in front of the new Backalley Brewing shop (aka Kokomo Cycling & Fitness) on Sept 28th. 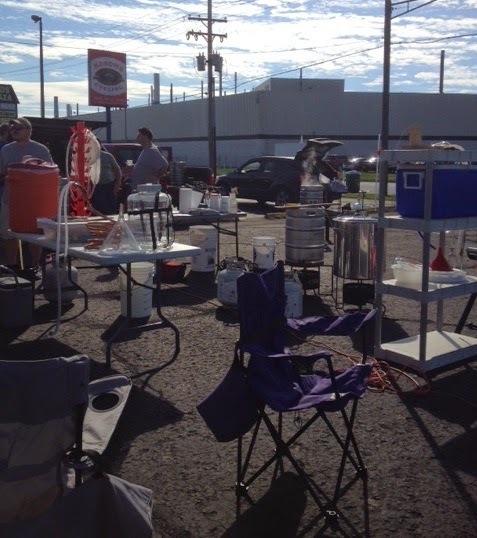 We had 7 brewers set up their equipment brewing quite the variety of beers. From sweet stouts to Belgian Golden Strong, an IPA & a sour. Dave, Mike & Cary brewed kits. Johnny brewed extract. 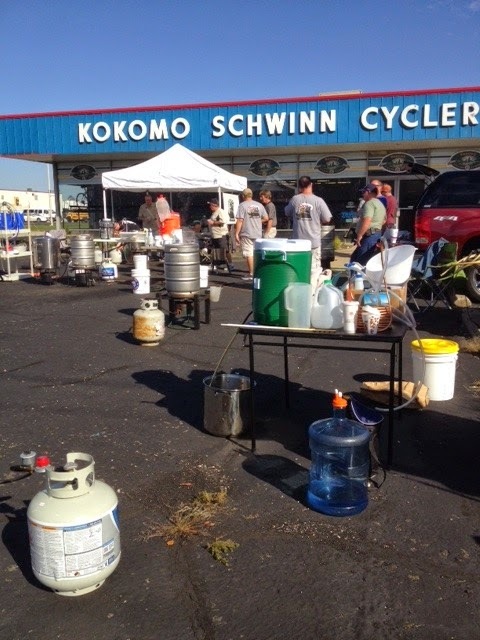 Larry, Mike & Jason went full mash & Tom did his mash at home and brought the wort in kegs. The Margaritaville tailgate BBQ cooker Larry attached to the back of Dave's truck kept everyone well fed thanks to Susie, Kim & Jon. Mike and/or Jason also brought some BBQ of their own for sandwiches. We had several newbies in attendance to learn what it takes to brew. We even had some passer-bys stop to see what was going on and ask questions. The club bar was set up inside with 4 taps running. After the last drop was chilled and safely put into its primary, those remaining went inside to watch the Colts pull off a nice victory. 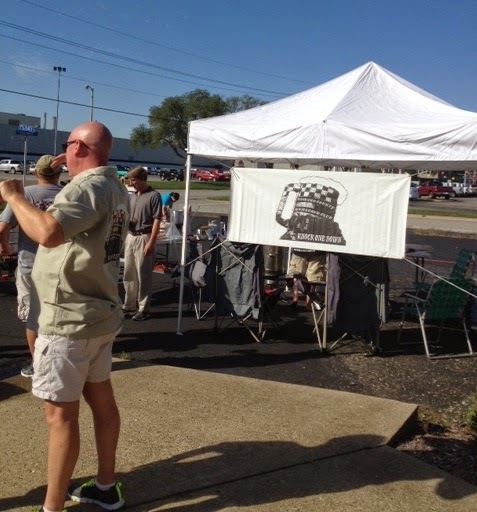 All in all, it was a beautiful day to brew outside, good company, good food and a very good time. We will definitely be doing this again.